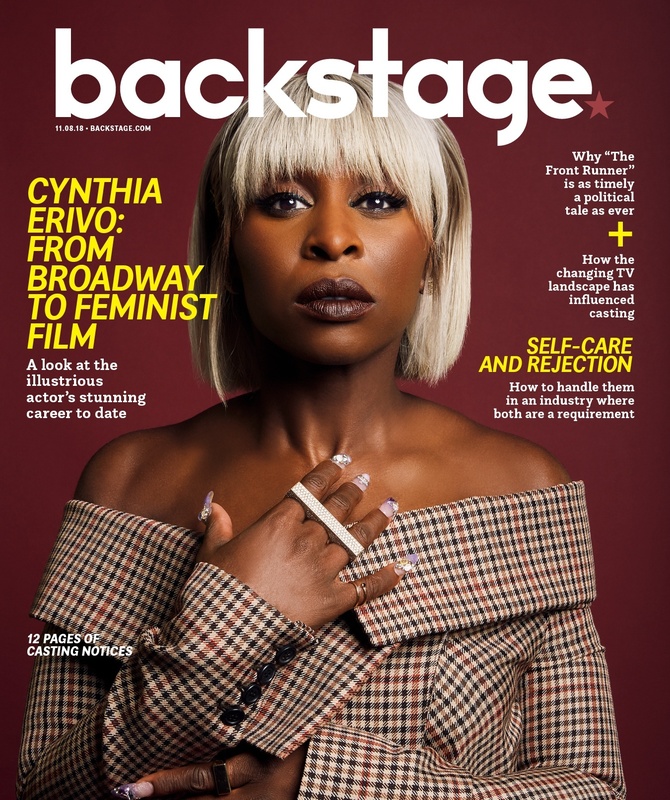 For anyone who is familiar with Cynthia Erivo’s body of work, her words are something of an understatement. This is, after all, the same woman who once ran a half-marathon in New York before performing a two-show day of Broadway’s 2016 revival of “The Color Purple,” in which she was onstage virtually the entire show as its hero, Celie. Erivo chuckles and demurs at the memory now, but such a physical feat is no laughing matter. Celie also earned Erivo a 2016 Tony Award, a Grammy, an Emmy, and the sort of industry clout that is seldom—if ever—achieved through theater. And, no—none of it came easy. While in the middle of her “Color Purple” run—her Broadway debut—the British-born Erivo was scouted for her first film, “Widows” (out Nov. 16), helmed by Oscar-winning “12 Years a Slave” director Steve McQueen and boasting an ensemble with the likes of Viola Davis, Liam Neeson, Michelle Rodriguez, and Colin Farrell. Shortly thereafter, she landed “Bad Times at the El Royale,” a suspense drama that paired her with more Hollywood heavyweights, Jeff Bridges, Jon Hamm, and Chris Hemsworth among them. And that’s not to mention “Harriet.” News broke in September that Erivo will portray the Underground Railroad heroine Harriet Tubman in the biopic about her life. The Kasi Lemmons feature is slated for release next year. Erivo herself can’t quite believe this all stemmed from “The Color Purple,” which she first performed in a 200-seat London theater just a few years ago. “If someone had laid out for me the things that have been happening in the last two years alone, I would think I was hallucinating,” she deadpans. Reclining on a velour couch just days before she’s due in Virginia to begin production on “Harriet,” the powerhouse performer is proud of the work that’s taken her to this point—but she’s under no illusion that there isn’t more work to be done. Actually, because her entry into cinema has been so definitively high-stakes, she’s had to essentially enroll in what could be considered a crash course in film acting. “If I were starting off with a small indie movie, it would be like baby steps. But no, I was thrown in the deep end,” she says of her debut in “Widows,” a heist flick about a group of women bound by the shared debt their murdered husbands left behind. Aside from a few television projects, it was the first film set Erivo had ever stepped foot on. That, Erivo explains, has been the biggest adjustment in transitioning from one medium to the other: the lack of that live audience. Perhaps most remarkable about her ascension is how tactfully Erivo has been able to subvert categorization in an industry that is frequently desperate to box performers in. It hasn’t come without her putting in the work. Styling by Sarah Slutsky. Sweater and skirt by Area, shoes by Rupert Sanderson. Dress by Versace. Hair and makeup by Joanna Simkin and Coree Moreno.